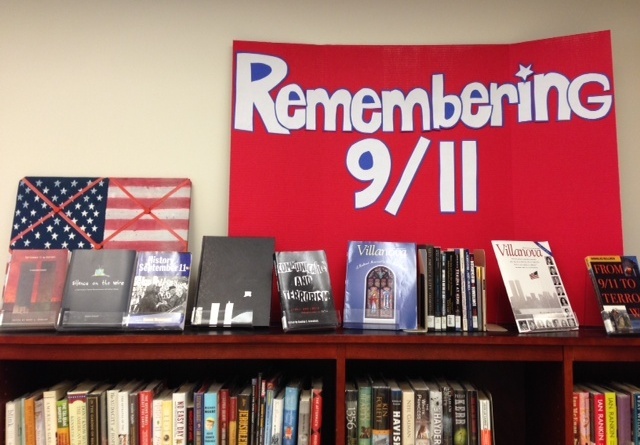 Since the attacks on the United States on September 11, 2001, when many American lives were lost or changed forever, thousands of books and articles have been written on the subject. 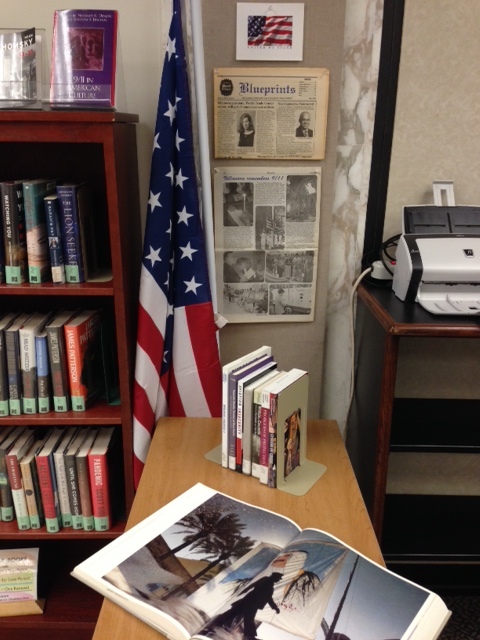 A small sampling of books, along with special issues of the Villanova magazine and a copy of The Villanovan, are on display on the first floor near the service desk. 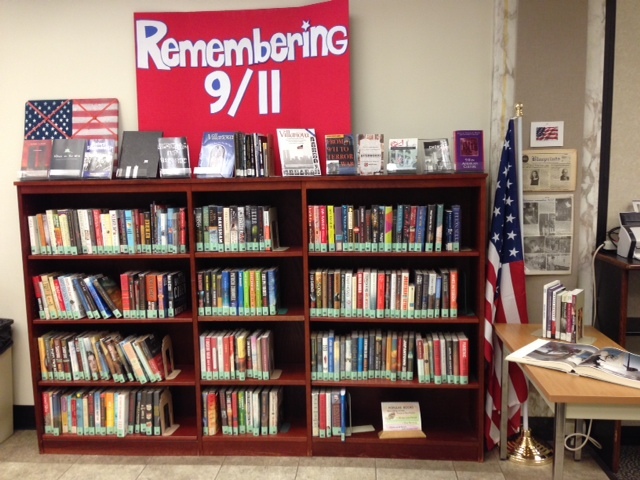 A basic search of the library catalog for “September 11” will bring results of more than 5000 books and many more thousands of articles. An advanced search combining September 11 and terms such as terrorism, national security or emergency management will give you more specific results. There is a beautiful stained glass window in Corr chapel commemorating 9/11. Window designed by Father Richard Cannuli, OSA, a Villanova faculty member. You’re correct, Allie. Fr.Cannuli’s window is a beautiful and deeply moving tribute to Villanovans lost on 9/11. Read more about it here https://www1.villanova.edu/villanova/media/pressreleases/2011/0810.html, and view a new photo taken of it by Laura Hutelmyer in today’s blog.